Small employers, those with less than 100 employees, have a reputation for not offering health insurance benefits that are competitive with larger employers, but new survey data from United Benefit Advisors reveals they are keeping pace with the average employer and, in fact, doing a better job of containing costs. 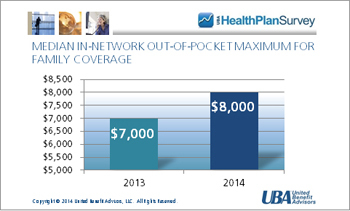 According to UBA’s new special report “Small Businesses Keeping Pace with Nationwide Health Trends,” based on the most recent UBA Health Plan Survey, employees across all plan types pay an average of $3,378 toward annual health insurance benefits, with their employer picking up the rest of the total cost of $9,727. Among small groups, employees pay $3,557, with their employer picking up the balance of $9,474—only a 5.3 percent difference, finds UBA.